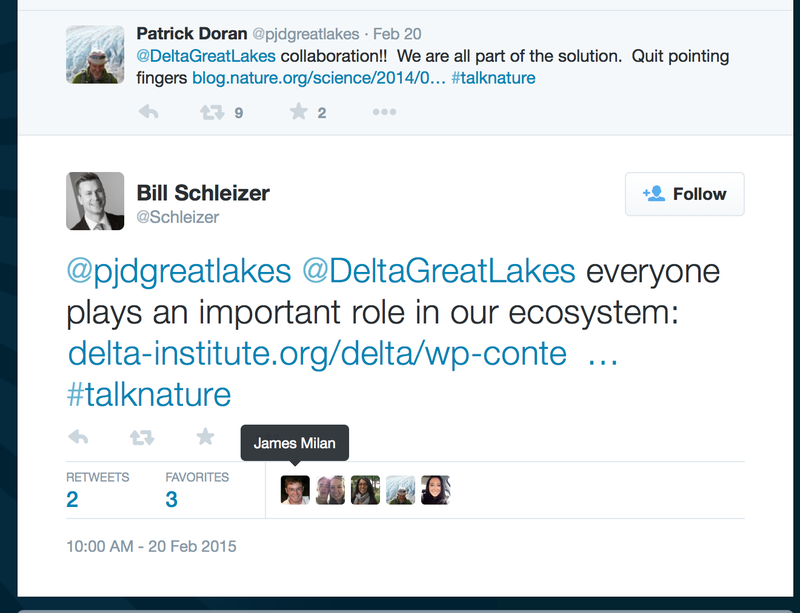 I aided in the launch of Delta Institute’s Google+ account. In addition to increasing Delta’s social media presence, this account also works to increase the institute’s search engine visibility. According to research from Searchmetrics, social signals (those are things like Google +1s, Facebook shares, Pins, Retweets) account for seven out of the top eight factors correlated with Google search results, but Google +1s take the top spot. 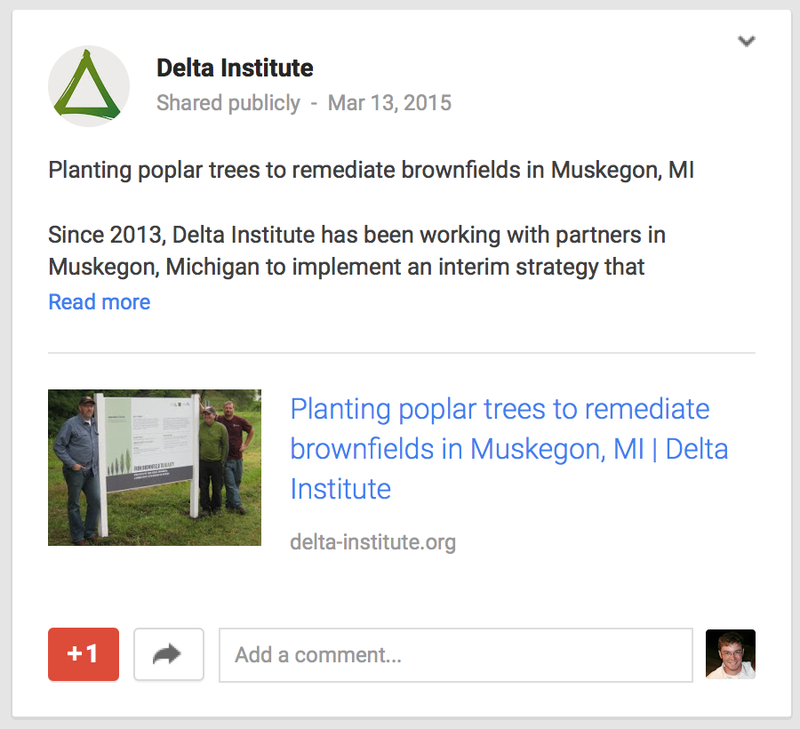 So the more +1s Delta’s content receives in Google +, the higher in search results that content will appear. 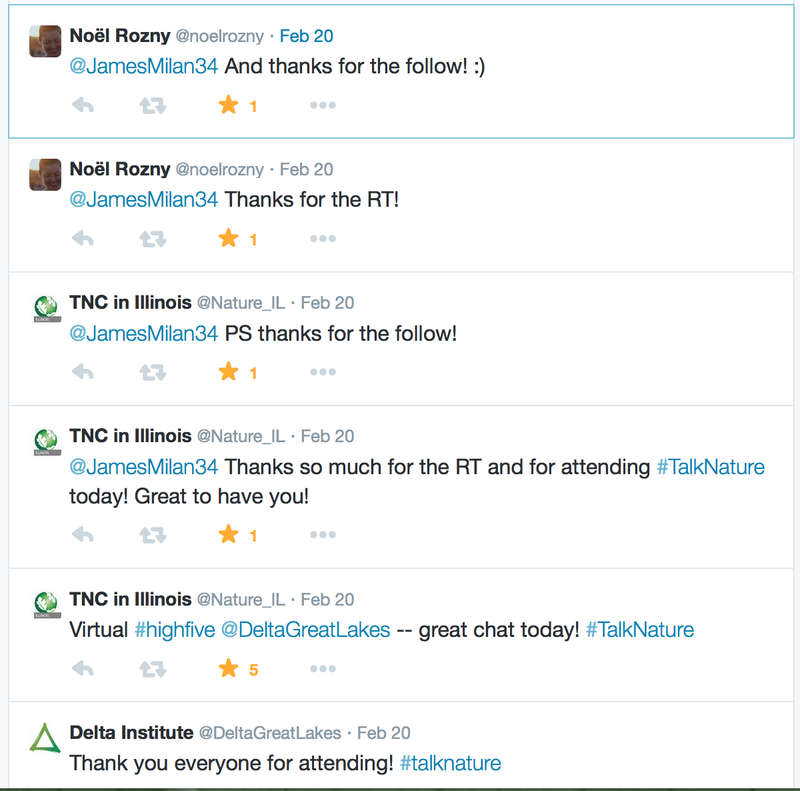 I also participated in a live tweeting event (#TalkNature) where members of Delta Institute answered questions from the general public on farming and freshwater.